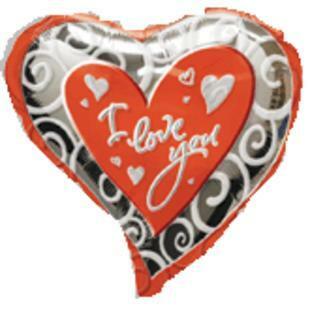 Helium - filled ''I love You''funky and bright heart balloon. Ballons may vary due to availability. Can only be ordered with flowers or hampers.